Learn How To Get Started Investing Today! Our FREE three day program will take you through the basics of learning how to invest in the stock market. If you've never invested before, this course is exactly what you need to get started. Robert Farrington is America's Student Loan Debt Expert, and the founder of The College Investor. The College Investor is one of the largest websites dedicated to helping people get out of student loan debt and start building wealth for the future. He is on a mission to help millennials get out of student loan debt and start building wealth for their future. He also helps parents make smart choices about college financing options and navigating the complex world of paying for school. Through his work at TheCollegeInvestor.com, Robert Farrington has emerged as one of the nation's leading student loan debt experts. Farrington launched TheCollegeInvestor.com from his home in 2009, while finishing his MBA at the UC San Diego Rady School of Management. Being passionate about investing and personal finance, he wanted to connect with others who shared his passion. 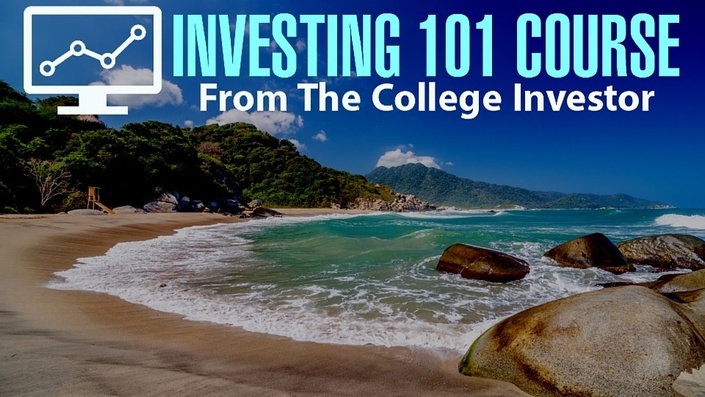 Not finding what he was looking for on campus, he created TheCollegeInvestor.com as a resource for young adults about money, covering topics from paying for college and escaping student loan debt, to investing their first dollars after graduation. Since then, Robert Farrington has shared his successful student loan and wealth building expertise with thousands of young adults, both online, in person, and as a contributor to major publications such as Forbes and Huffington Post.